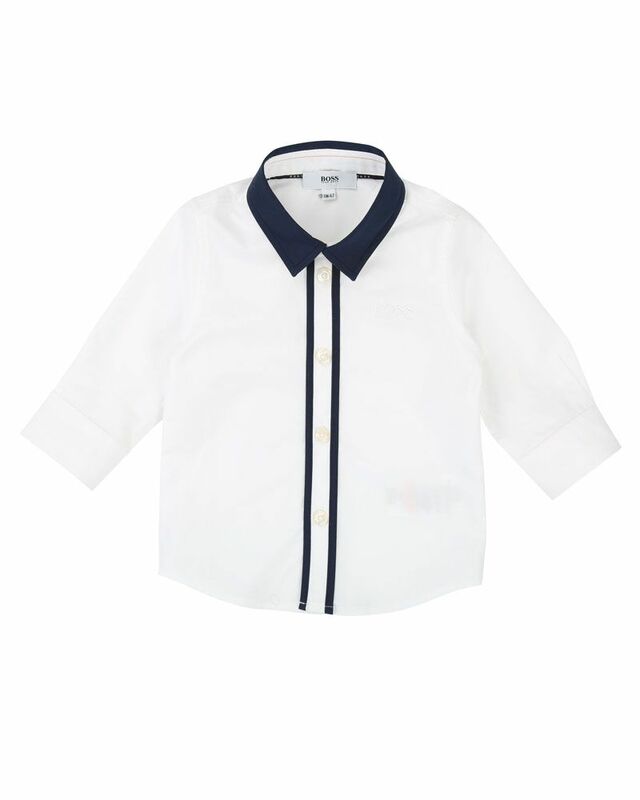 BOSS soft cotton white button down shirt with navy contrast collar detailing. 100% Cotton. Imported.